Overtime, any exterior paving exposed to the elements can deteriorate and growth such as weeds, moss and algae can soon flourish across the surface, causing it to look dirty and in the need of attention. 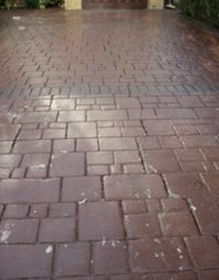 Having invested in the latest pressure cleaning equipment and using Smartseal quality products, we are able to offer home-owners a reliable and knowledgeable service to restore paving to that ‘just laid’ look! We can deep clean most types of hard surfaces including block paving, imprinted concrete, natural stone, crazy paving, tarmac, decking and paving slabs. After the cleaning process is complete, the long term appearance and durability of any paved surface can be improved by applying 2 coats of protective sealer. This will waterproof the surface and protect from UV light damage, staining and surface growth. 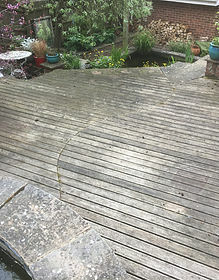 When initially laid, decking can look great, but unless it is regularly maintained, it can soon start to look unkempt and grubby. 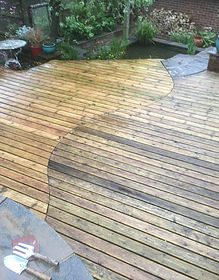 The colour can fade, and it can become covered in algae, which in damp and wet weather conditions, causes the decking to become slippery and dangerous. Sometimes if there is a heavy layer of moss or green algae present on the surface of the decking, it may be necessary to pre-treat the decking first with a potent anti-fungicide. This will kill off the moss and algae spores and make the pressure cleaning of the surface more effective. 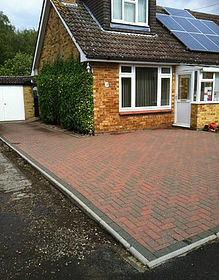 Many home-owners throughout Cambridge have invested a lot of money having their driveways laid to enhance the appearance of their properties. 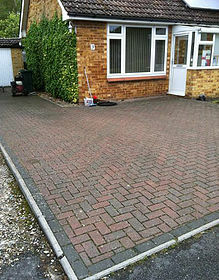 However, if not regularly maintained, surface growth soon becomes established and before long the driveway can look grubby and soon loses that ‘kerb appeal’. Being porous by nature, block paving is harder to keep clean and the sand filled gaps between the blocks encourage weeds to take root and grow. 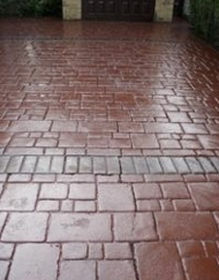 Art of Clean specialise in the restoration and re-sealing of imprinted concrete. Although pattern imprinted concrete driveways and patios are by their nature extremely hard wearing, without a top up coat of sealer every few year’s loss of colour and surface deterioration can occur. 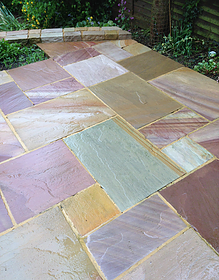 Overtime, dirt and other deposits can build up on a patio and it can soon start to deteriorate and lose colour. 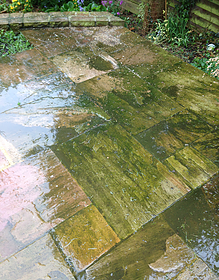 This can be due to a variety of reasons including weeds, oils stains, moss and algae and if left unmaintained, the patio can soon become slippery and potentially dangerous in wet and damp conditions and direct sunlight.